Saturday November 19 was a beautiful day for late Autumn. The sun was shining and it was 15 degrees Celsius, very warm for this time of year. 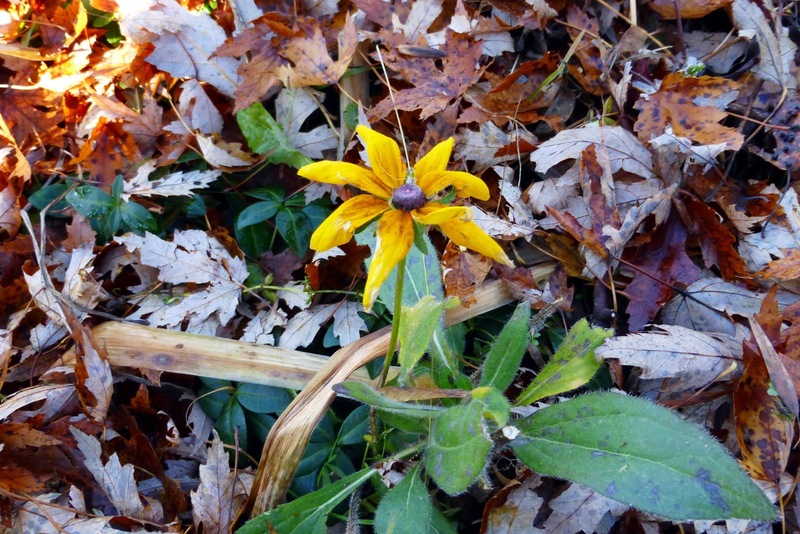 I was at my home in the country and looking at my garden when I was surprised to see this beautiful little flower blooming among the fallen leaves. A tiny last splash of colour before the arrival of the snow and bleak white days of winter. Then I found another pretty little flower - one of my hardy yellow daisies. What brave little lovelies these last flowers are! I went back to Ottawa that evening and the next day it started to snow. At first it was just very wet and melted on everything. As I was walking down a street in my neighbourhood, I saw this beautiful little rose bud. It was even more lovely for being so ephemeral. 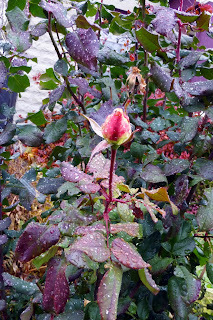 It will never open into a flower because several hours later, it got really cold and snowed in earnest. By nightfall, everything was covered in thick white snow and the temperatures were well below zero. Goodbye pretty little last flowers of the year! 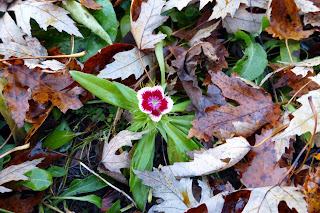 Your delicate beauty and your brave show before the long cold dark of winter was a wonderful gift.